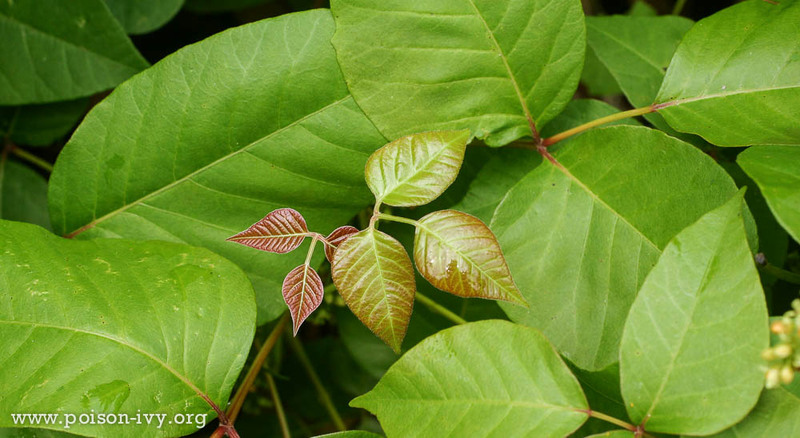 This is classic poison ivy in summer: young leaves are tiny and red; older leaves are green. All leaves in the photo ARE poison ivy. This is among the largest poison ivy leaves I have found. 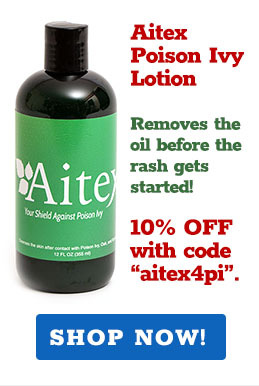 It seems that with increased CO2, poison ivy may get larger (and more potent in terms of causing rashes). 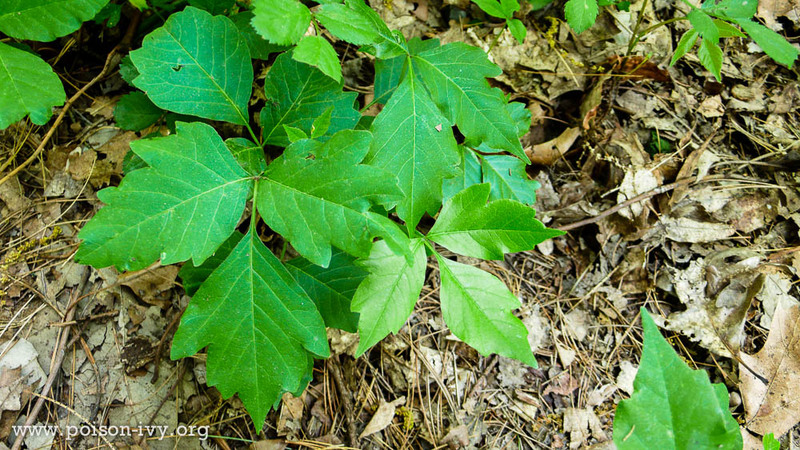 These are poison ivy leaves, for sure, but deeply notched and looking a bit like oak leaves. 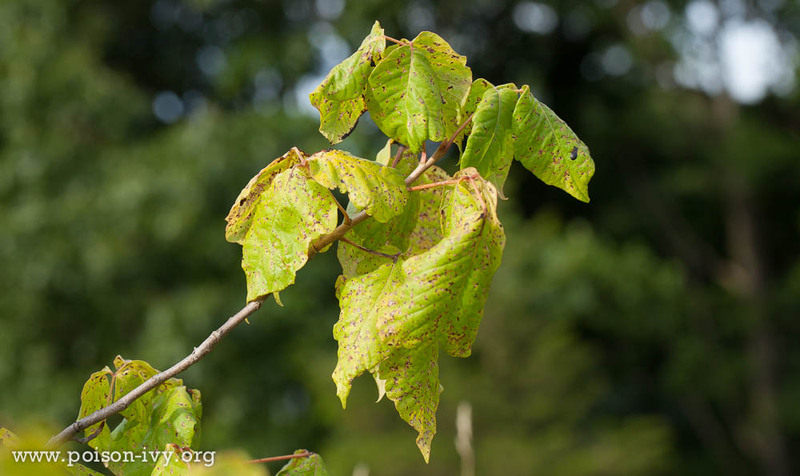 When it grows near salt water, poison ivy very often takes on this waxy, curly look. But it grows well near the beach and is VERY common along East Coast beaches. Red stems and red leaf edges are less common, but hardly rare. 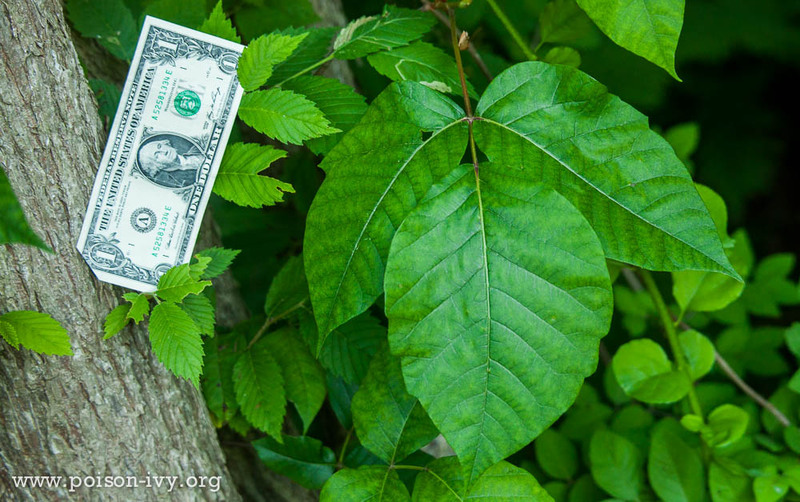 When poison ivy doesn't get enough water, the leaves will yellow and droop. This was taken in August, on a dry, rocky hilltop. 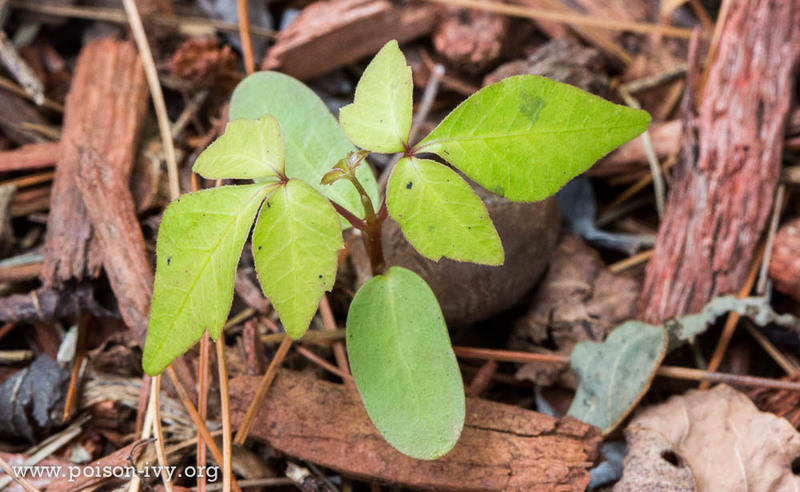 This is a seedling of poison ivy, just sprouting its first pair of "leaves of three." This can't be rare, but it took me some years to find a seedling. 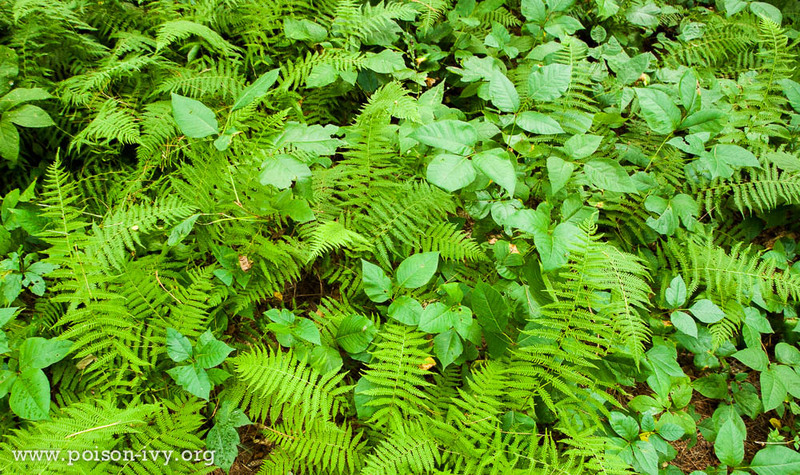 It is common to find poison ivy growing as forest groundcover, as seen here mixed in with ferns. 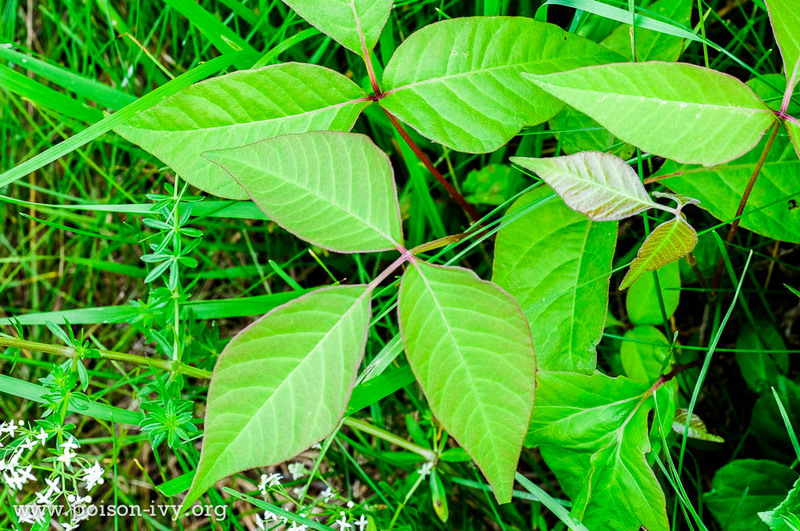 Poison ivy can deal with both wet and dry locations. 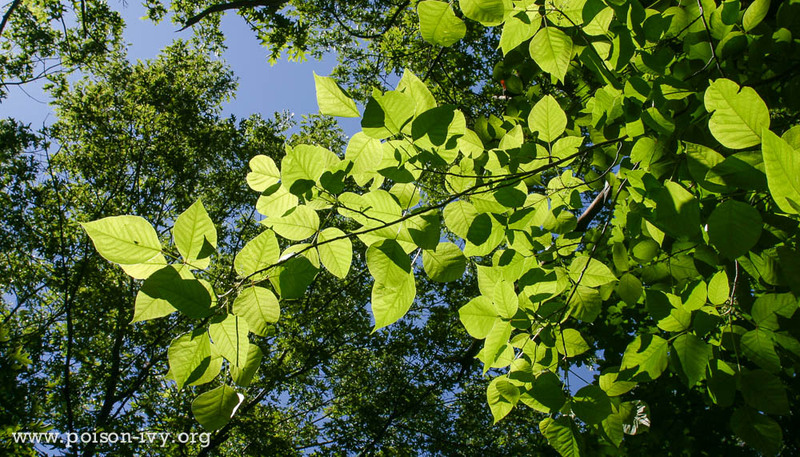 It is critical to remember that, in many areas, poison ivy climbs, and you can walk into it as it grows overhead. 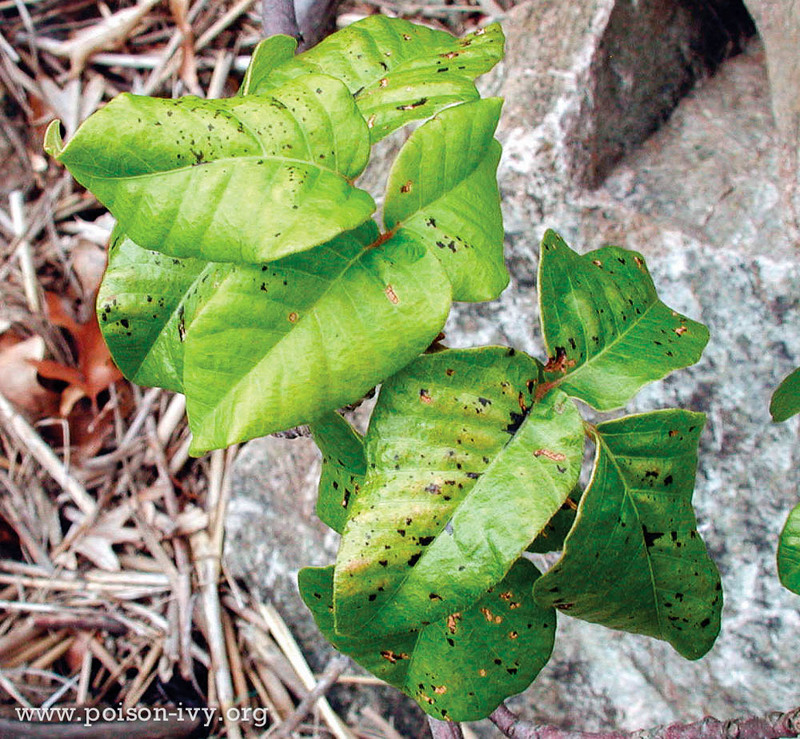 An extreme example of poison ivy by the roadside. It loves sun. 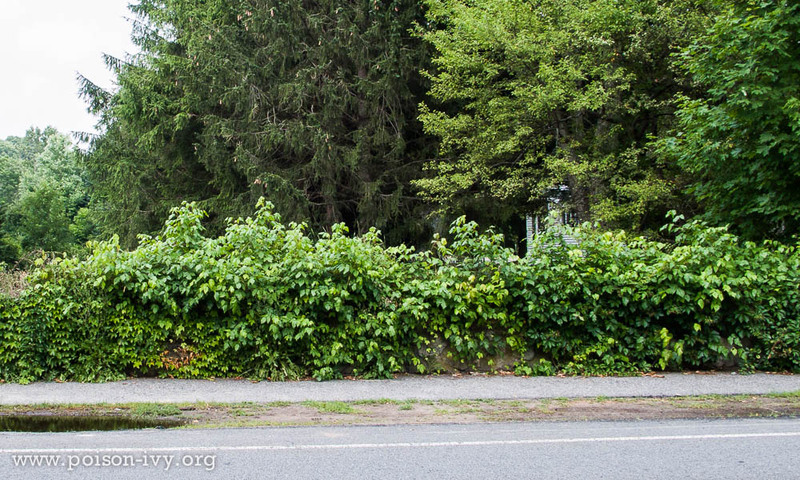 In the Eastern half of the US, it is more common than not to find it by the roadside! 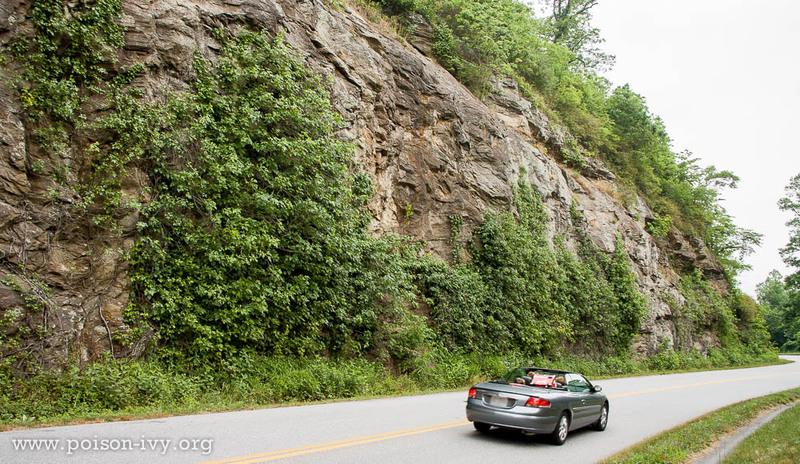 The rocky outcropping along this highway is covered by masses of poison ivy.